This delicious and fulfilling experience will craft memories that will keep your mood up! The Thessaloniki delightful discovery is packed with experiences and food you’ll love on your first try. 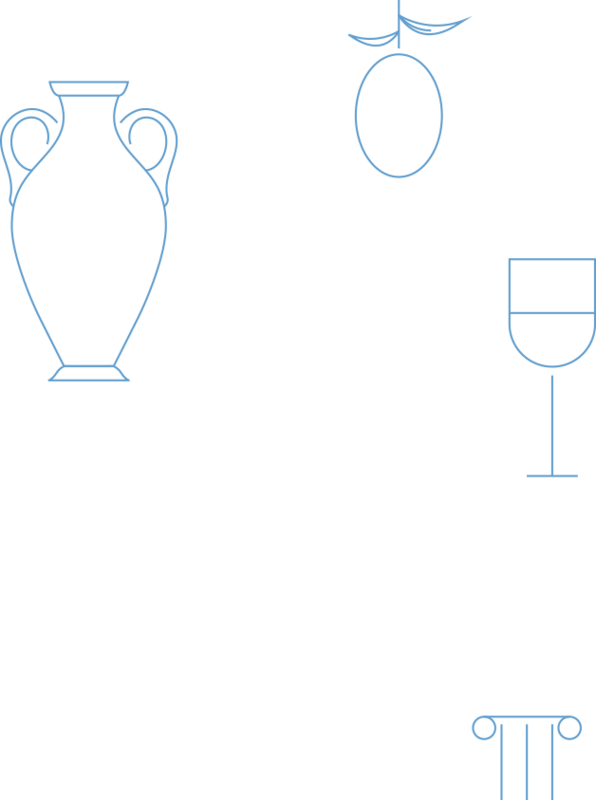 Listen to interesting stories about Greek culture and customs and enjoy various bites and drinks. Experience the real everyday life and see where the people have fun, eat and spend their free time. The atmosphere of the open market (open Monday to Saturday) and your host will make you feel like a local! Enjoy the interaction within the small-group of guests and feel free to ask your host any question, they love sharing stories and taking care of you. 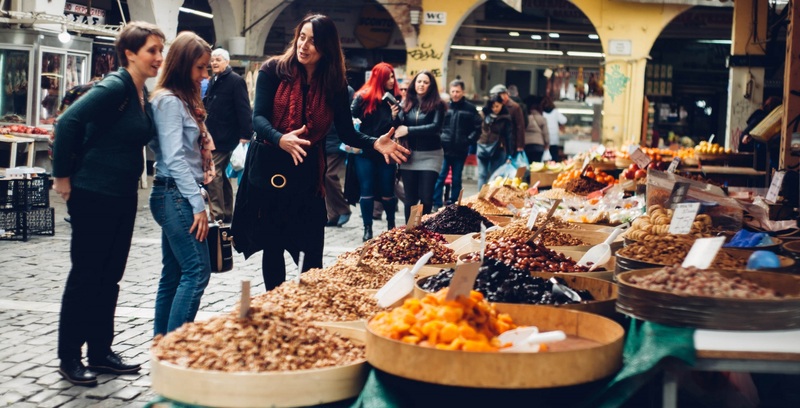 Explore the thriving food and culture spots of Thessaloniki that reﬂect the pulse of Greek people’s hearts – bustling, warm and full of life! Visit the places where locals enjoy breakfast specialties, learn more about the importance of family and interesting moments of history. Ready for an authentic taste of the real daily life of Thessalonians? Then, don’t be surprised when some locals start talking to you or paying you compliments – it means you’ve arrived at the lively local market (open from Monday to Saturday)! After this intense experience, let us surprise you with aromatic Greek coﬀee at an undiscovered rooftop close by. And how about delicious local street food? 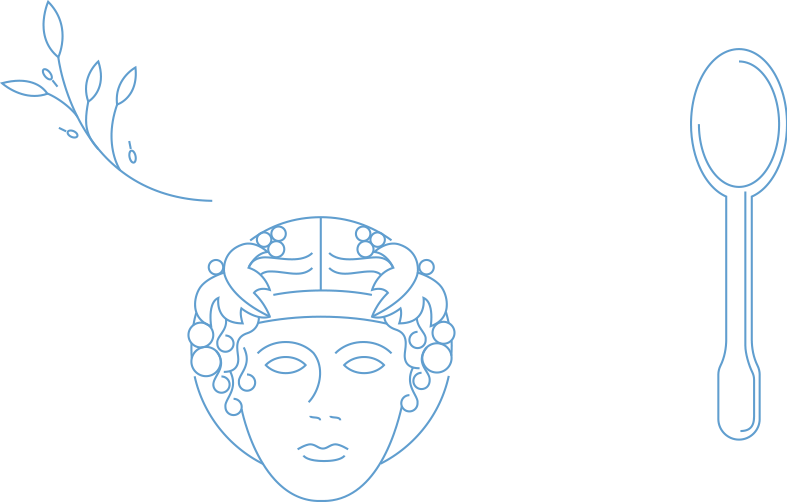 Just the right thing to do to discover more about Greek traditions. It’s now the perfect moment to be blown away whether you have a sweet tooth or not. Taste some amazing treats at a family run pastry shop and sneak a peek into the kitchen for secrets to help you make pastry of your own if you get lucky. Who would say no to a chef’s uniform and hat for a fabulous photo? To wrap up this unforgettable day, take a short walk to a nearby tavern for some more bites in great local company. Comfortable clothing and shoes are recommended as on average 2.8 kilometers are covered. The daily tours are open for up to 6 guests, so enjoy meeting new people while having a great time with your local host. If you wish to book a private experience, feel free to let us know and we will be happy to arrange it. We are looking forward to meeting you at this Thessaloniki walking tour and help you experience the food and culture adventure!